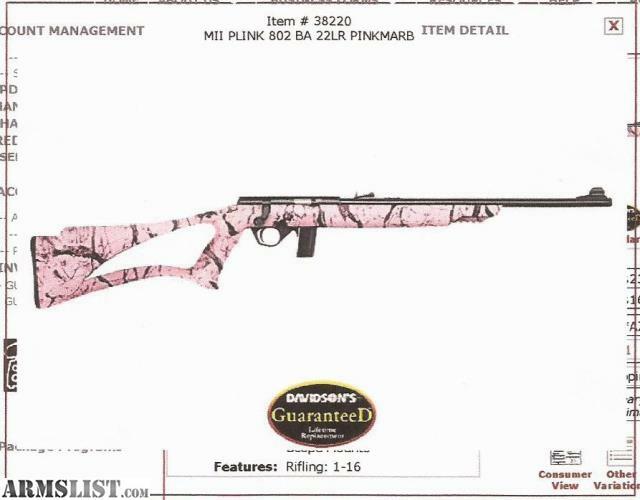 New in box Mossberg 802 Plinkster 22lr pink marble $149 ea plus tax. Get an early start on Christmas. Perfect for that girl that want to spend some time with dad. Fun and Light to shoot. 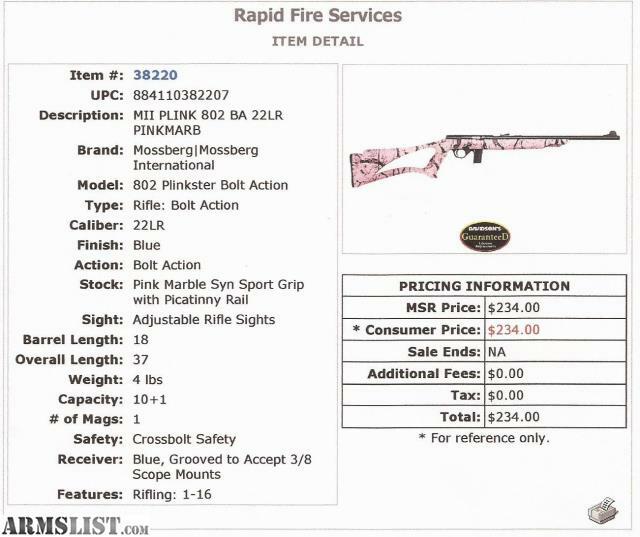 Easy on the wallet ,ears and shoulder. Contact Jason REDACTED, Please no calls or text after 8:00 pm. Thanks Rapid Fire Services.